You searched for which does not fit your . We've redirected you to 113-422, which has the proper fitment. ordered 2 of these. lost mine at less than freeway speed (elastic not strong enough to hold it on) and girlfriend lost hers at less than 55 MPH again elastic not strong enough to hod onto head. I gave it two stars ONLY because it was made in the USA. 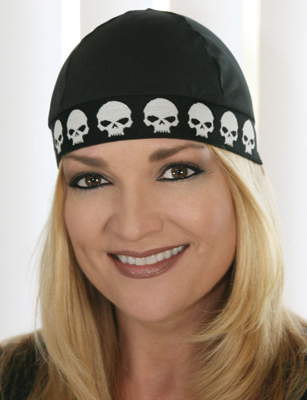 If you have one of these skull caps leftover from a few years ago, DO NOT order a new one!! The elastic band is not nearly as strong as on the older cap. The new ones WILL NOT stay on your head.